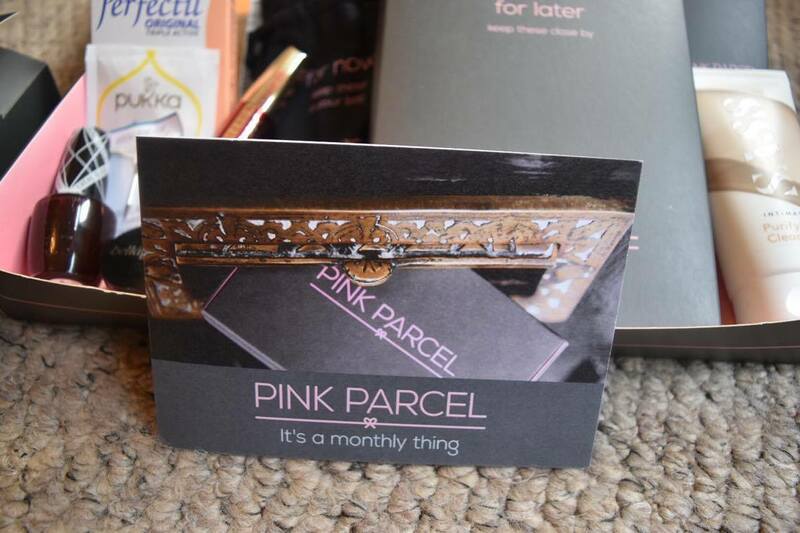 Pink Parcel were a part of the Steel City Blog Meet the other week and I was super impressed with the goodies they sent us for everyone to review, so much so that I had to review this myself. 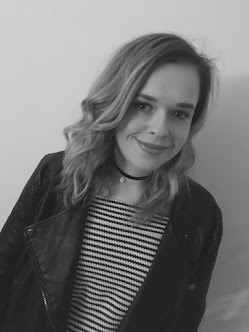 I have worked with Pink Parcel before at another event over a year ago and I was impressed then, but it has got EVEN better. Well, you might be thinking "Kirstie; it's a period box.... yeah... so what?, why are you banging on about it?!" Well... As well as coming with all your monthly essentials; tampons and some 'Down There' wash, it contains some awesome goodies to cheer you up. On top of this, the box can then be tailor made to suit your preferences (I won't go into too much detail, but you know what I mean ladies). The box can then be delivered just before your monthlies start, who doesn't want convenience like that? A little box coming through your letter box just in the nick of time to help you through. The box is £12.99, which sounds like it could add up over 12 months, but the box goes a long way with its contents. For this so, I got almost three boxes full of tampons and a little pouch to keep them in if you don't want them rolling around in your bag. A bottle of Sass intimate wash to keep everything nice and clean and a little box full of nice things to perk you up. 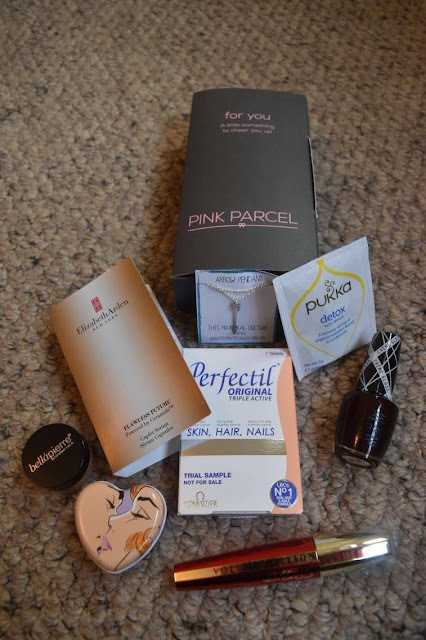 This was what I was most impressed with; it contained a Pukka detox teabag, Opi nail polish, A Material Culture necklace, Elizabeth Arden Flawless Future sample, Bellapierre eyeshadow, Perfectil Orginal tablets for skin, hair and nails, lip balm, L'oreal Mascara and a Rocco Chocolatte bar (which I did eat before taking the photos and it was delicious). 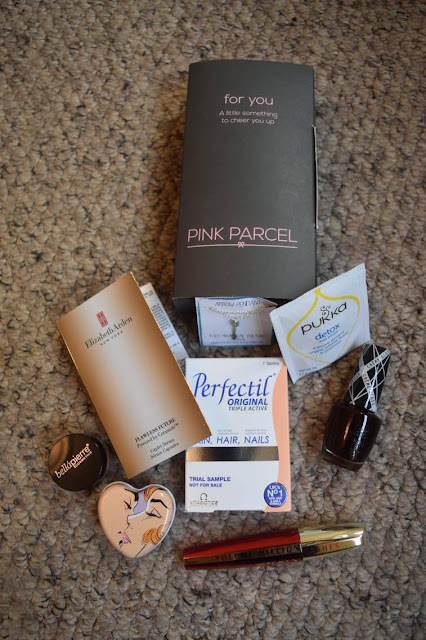 I think with the mixture of products in this box it is certainly a winner, it would be great to see what different surprises you get each month as well as the bits and bobs which you do need. It beats nipping to the shop because you forgot to stock up this month. The box is also available to be suspended and cancelled at any time, which is perfect as it is easy going and no tying yourself in for the next ten years, not that you would cancel it after you start receiving this each month. This would a great gift for someone who has just started their periods, who might be a little embarrassed with the period 'taboo', something which Pink Parcel have done a great job at breaking!